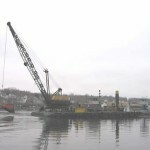 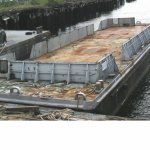 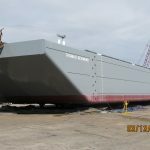 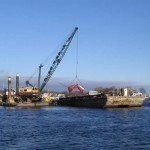 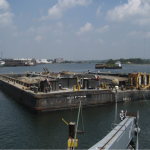 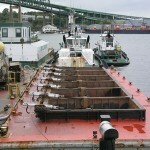 SAMSON III is a 50′ x 103′ x 7 ½’ mechanical dredge. 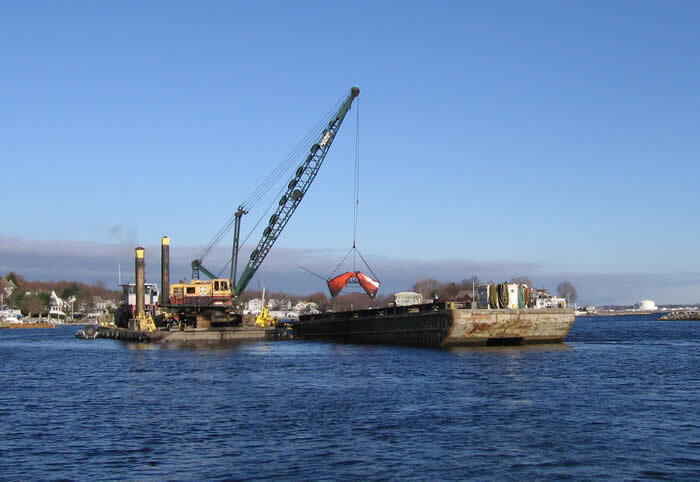 The spuds are 36 inch square and 60 feet long, raised on Pullmaster hydraulic winches. 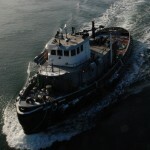 She is equipped with slewing winches to control dump scows along the side for maximum handling and control. 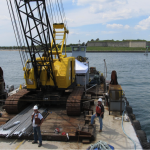 The crane is a Bucyrus Erie 88-B series 4 150 ton crawler capable of moving up to 20 cubic yards per minute. 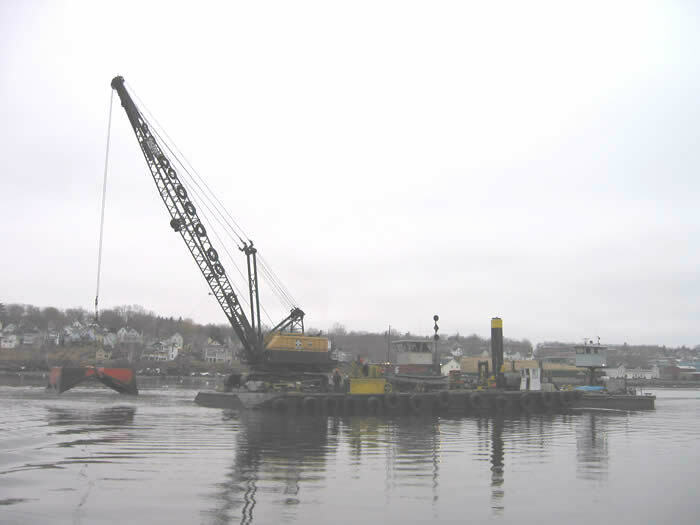 Samson III has a variety of buckets, from 5 cubic yard round nose digging buckets to an 11 cubic yard Cable Arm Environmental bucket. 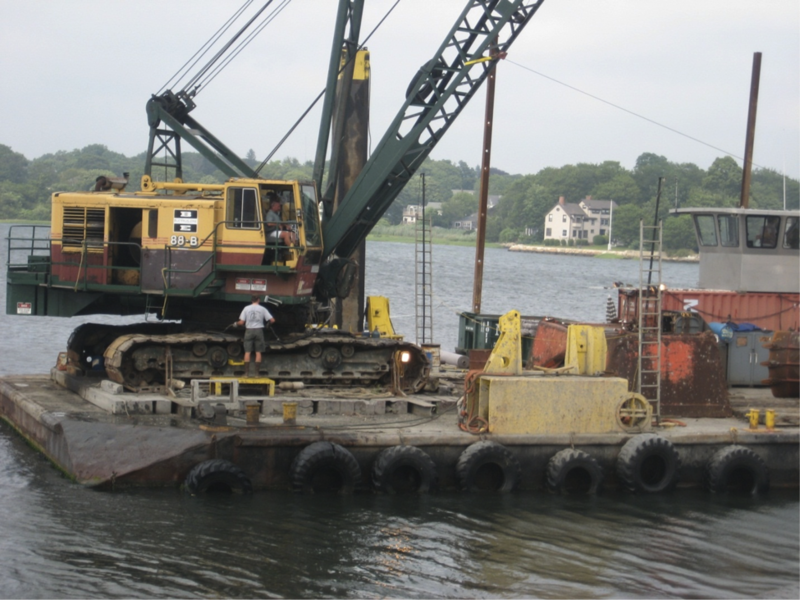 Samson’s positioning system is fixed via multiple DGPS units. 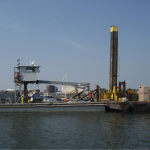 These units, along with a Hazen tide gauge, feed information to a PC using WINOPS dredge control software and HYPACK GPS monitoring system in the Pilot House. 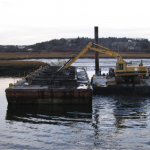 This self contained dredge is capable of performing extremely accurate sediment removal within inches aided by this software package. 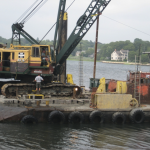 The SAMSON III is also capable of placing material on a location that needs fill or a thin cover for pipeline, etc. 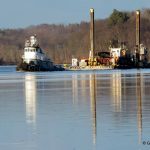 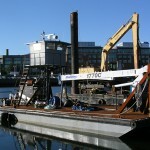 This self-contained dredge is comfortable performing capital, maintenance or environmental dredging. 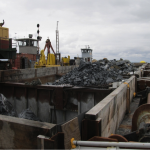 With its RTK-GPS system the equipment is also capable of performing trench excavation, pipeline, or restoration projects where horizontal and vertical positioning is critical.